Sloppy Joes are a pretty easy dinner that I know everyone will eat in my house. I don't want my family getting bored with them so I always try to make a new version to keep it fun. This time I decided to do a pizza version and it was a major hit. My son (the picky eater) ate green peppers and mushrooms so I call it a small victory for me as well. It tasted like a fantastic pizza and it was quick, easy and on the table in less than 30 minutes. Hamburger buns of choice. I used brioche style rolls. 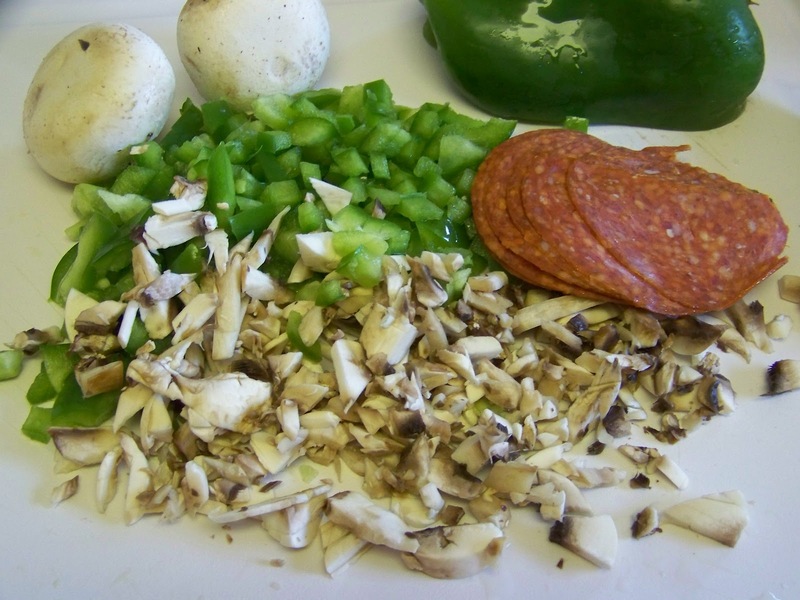 Chop all vegetables and pepperoni. Heat a large pan with 1 Tbs of canola oil. 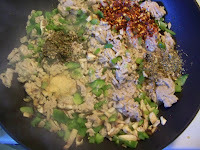 Brown ground meat (drain any excess oil). Then add garlic, bell pepper and mushroom and saute for 2-3 minutes. 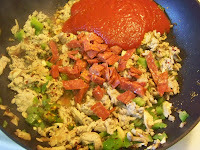 Next add red chili flakes, oregano, basil, salt and black pepper. 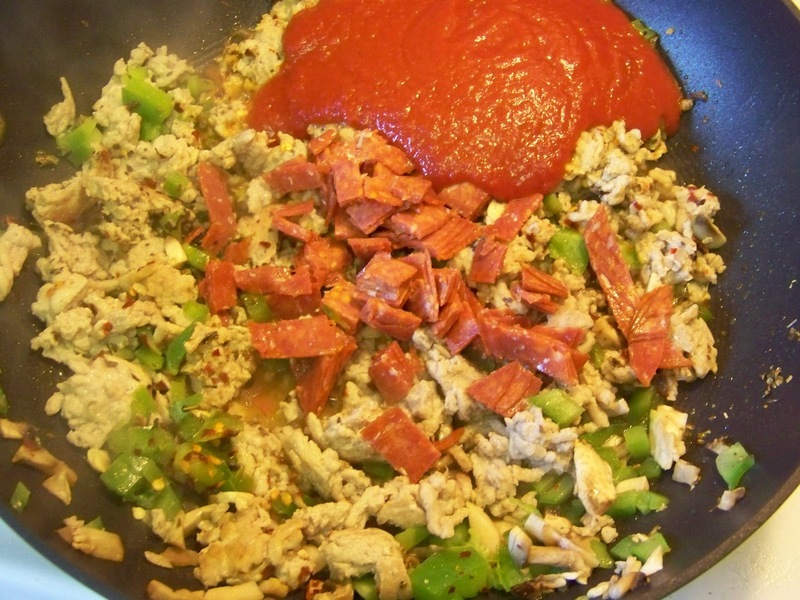 Next add 2/3 of the chopped pepperoni and the tomato sauce. Reserve 1/3 of pepperoni to top sloppy joes. Cook for 5 minutes and taste for seasoning. 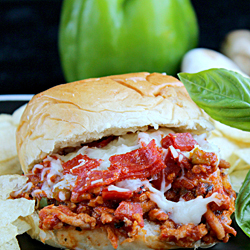 Top hamburger style rolls with a serving of sloppy joe mixture. 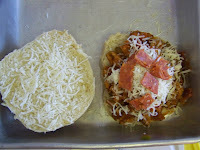 Then top with handful of mozzarella cheese and some more chopped pepperoni. I also add some mozzarella cheese to the top bun so it would melt and toast on it as well. Heat oven to 400 and bake until cheese melts. Serve hot. Enjoy. Ha! There's an Asian beef and lentil sloppy joe recipe in one of the magazines I'm going through in September. It looks interesting (to me), but I'm trying to figure out how I'll sell it to the family. This version would go over so much better. 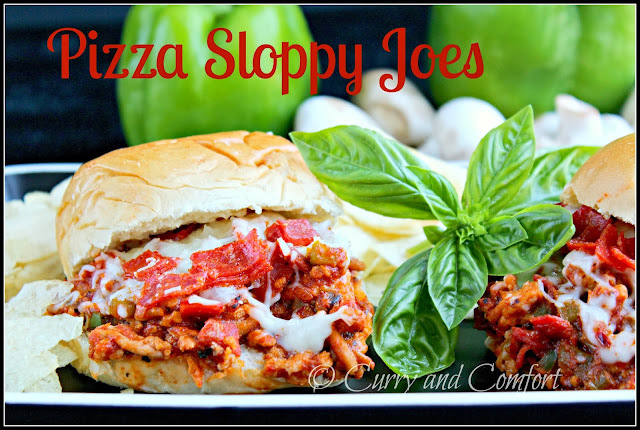 Who wouldn't love a nice sloppy pizza like this! Your photos are GORGEOUS! I've just added this to our menu immediately! I am literally drooling here, and I just ate dinner! Winning!!! We were talking about sloppy joes this morning, guess this is a sign they should appear on my table soon. Ramona I'm sure your son knows he's got a great thing going for him with a mum who churns out such a variety of lip smacking dishes... A super sloppy joe. I agree with CCU here, sloppy joes will never be the same again. I haven't had a sloppy joe in foreverrrr! I love your pizza twist! Well, it looks like you are celebrating the long weekend the right way! Pizza and sandwich all rolled into one! 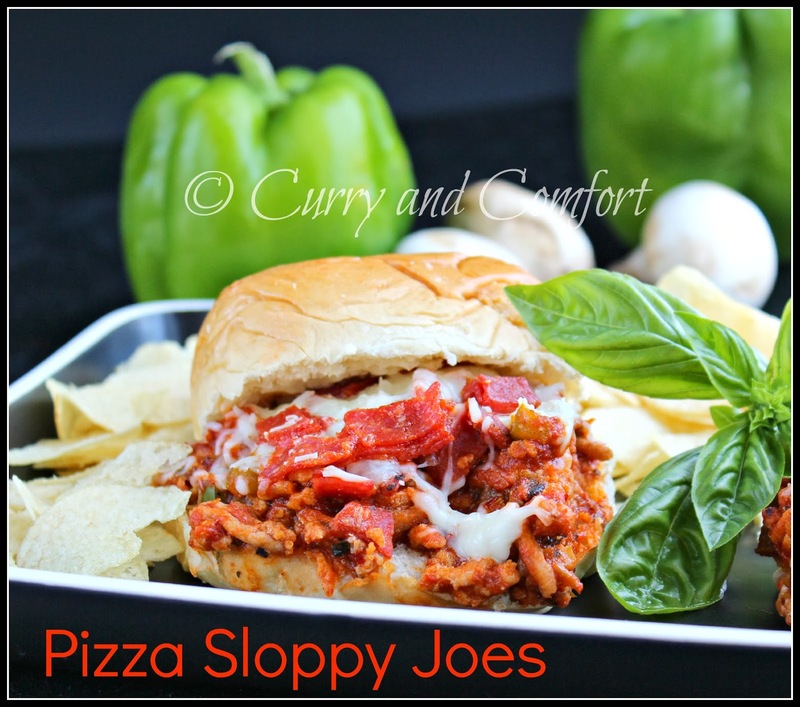 Pepperoni on a sloppy Joe - that's got to be good! This is just so irresistible! I really wish I stayed next to you! I will definitely be trying this recipe. I always make Sloppy Joes's for my girl friends, they love it! Thank you!